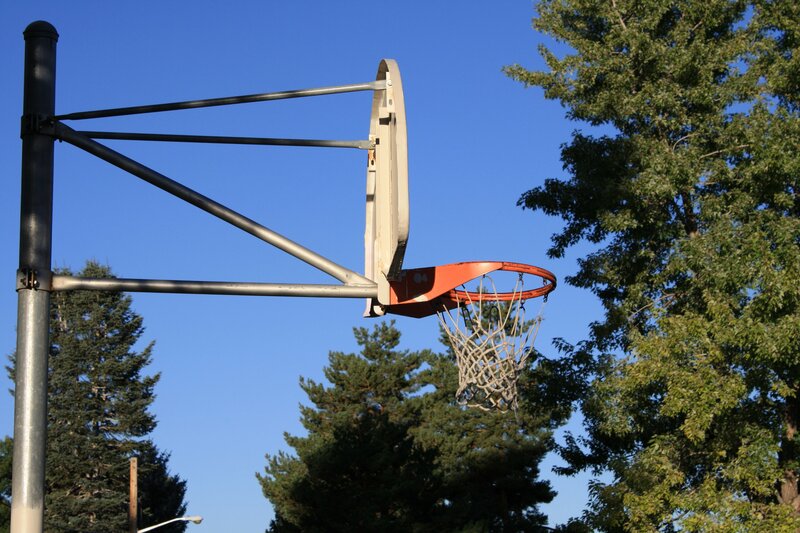 This free high resolution photograph features an outdoor basketball hoop with trees and blue sky in the background. The picture was taken from the side. Photo is free for any use.